If you haven’t joined our team yet for a fun day of door knocking, today is the day! 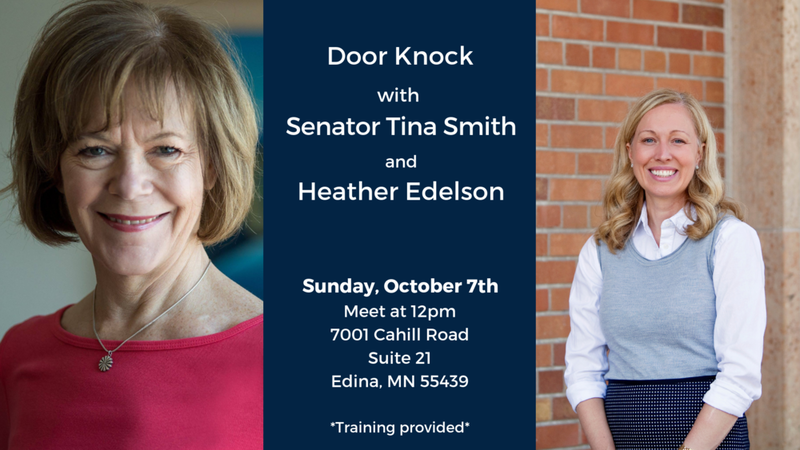 Come meet Senator Tina Smith at the Senate District office at 12pm. Shifts begin with a brief training at the SD 49 DFL office and finish there with a quick debriefing. If you can't door knock for an entire shift, or plan to come late, just let us know in advance as the training takes place within the first half hour, and the office closes after the training. If you do not have a smartphone and prefer to use paper, please let us know in advance.